This kitchen renovation offered our clients a better layout with more work surface and storage while producing a clean, uncluttered appearance. 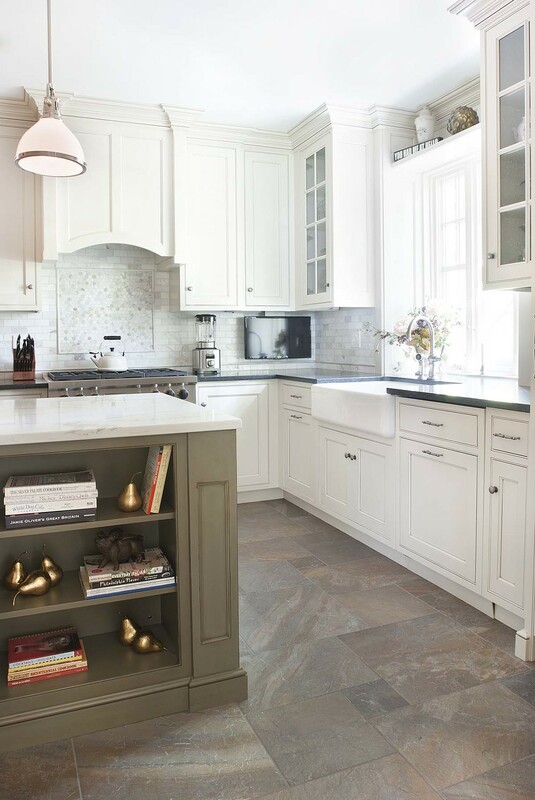 A small addition was added at the windows to bring in natural light and space for an island. The renovations required gutting the existing kitchen down to the studs. This revealed pipes and a brick chimney that could not be relocated. The pipes were hidden within the tall pantry cabinets and the brick of the chimney was left exposed. Other features include custom white cabinets with a farm sink and black honed granite counters. 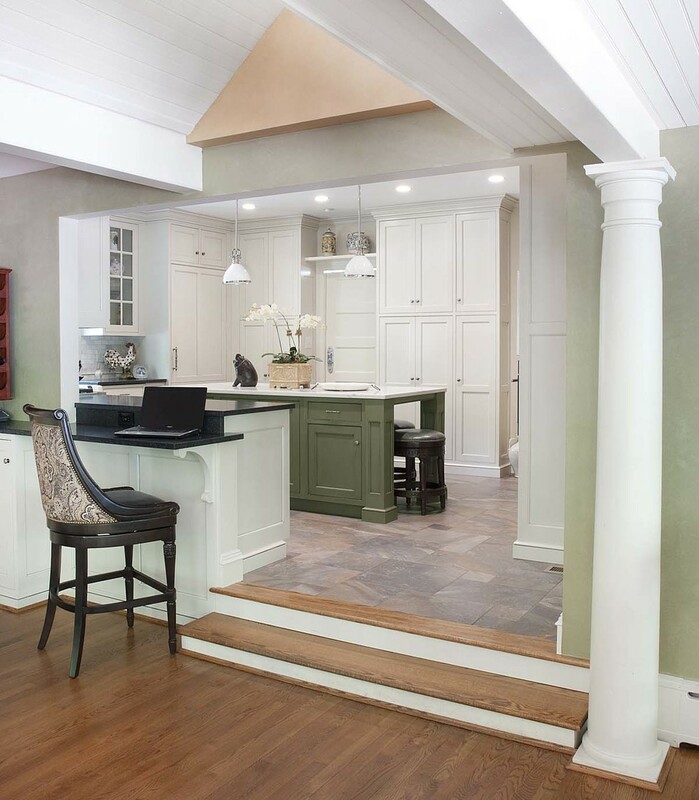 The island was painted a complimentary color that reflects the colors found in the adjacent dining and family room. 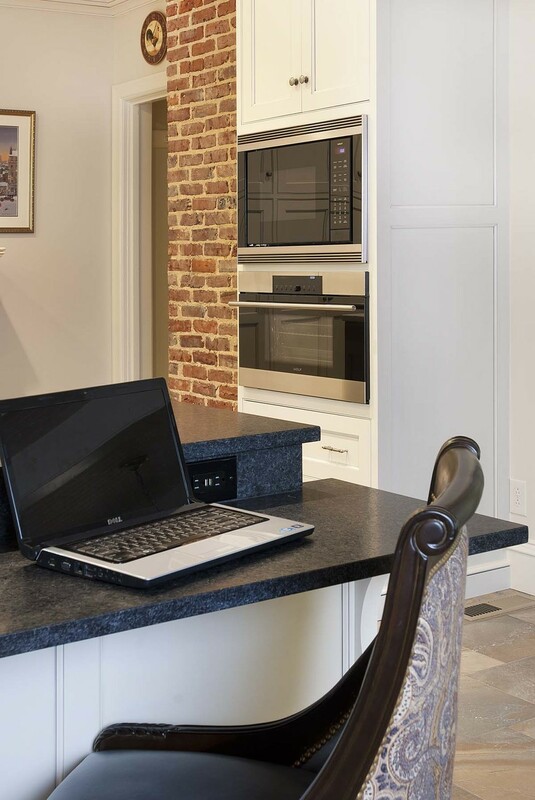 Fully integrated Subzero and Wolf appliances, including steam oven technology, make for pleasurable cooking. Dimmable LED lighting, marble tile backsplash, quartz island top and porcelain tile floor were selected to keep the room neutral and bright.